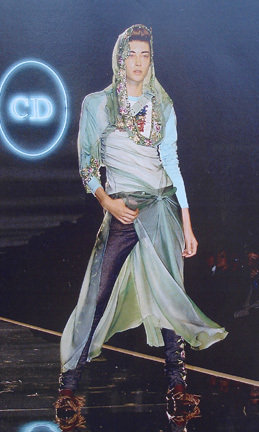 Christian Dior jeans as shown worn by Alicia Keys and photographed in all the fashion magazines. 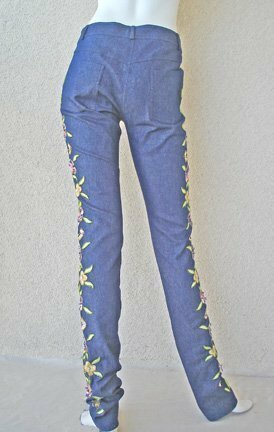 These are the identical jeans; brand new and never worn. Retailed in the thousands! 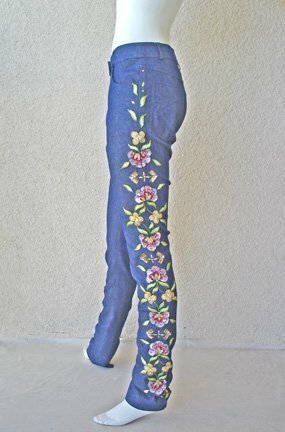 Straight leg skinny jeans fashioned of a lightweight dark denim and fully lined in silk charmeuse. 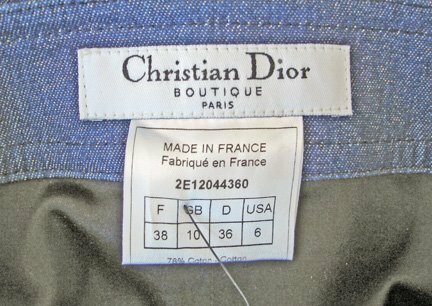 An ideal weight for Spring and Summer. JEANS HAVE NYLON & LYCRA so you will be able to move and sit etc. 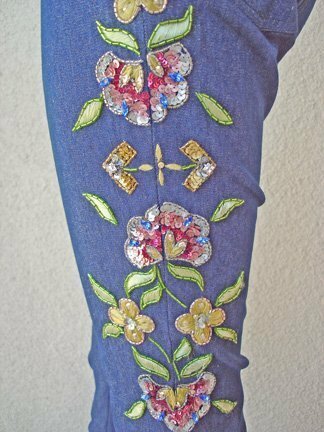 Floral motif heavily hand embroidered beadwork on either side of jeans. Colors are rich and vibrant. 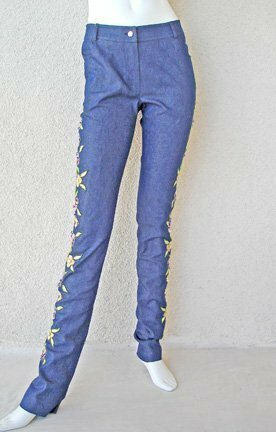 Size: 38; waist: to 30"; hips: 38"; raise: 9.5"; inseam: 37"
Condition: brand new w/tags. excellent and unworn.